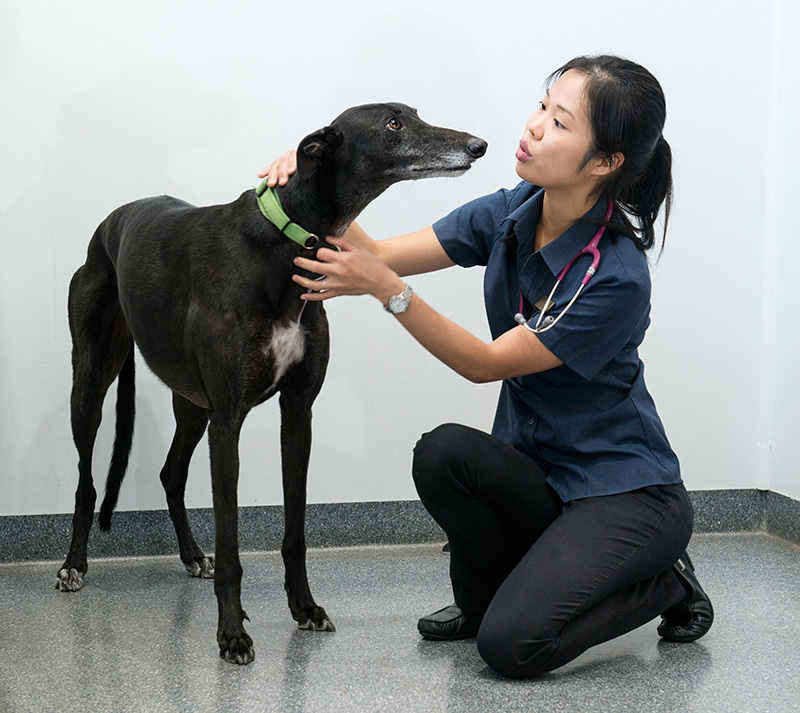 Stephen Terrace Veterinary Clinic is passionate about providing exemplary care to our patients, in order that they may live quality, healthy, comfortable and lengthy lives. We all know that our animals age more quickly than we humans. For example, one dog or cat year equates to seven human years. The cornerstone of any lifelong healthcare plan is based on regular health checks, relevant to their age and stage of life. Consultations are performed during our advertised hours, by appointment. Please arrive 5 minutes before your appointment to check in. Consultations at Stephen Terrace Veterinary Clinic are 20 minutes. You may also request an extended consultation if you have multiple issues to discuss. Bookings can be made online 24 hours a day, or by phoning (08) 8362 6688 during our opening hours. Please advise us about any particular concerns when booking your appointment. If you are a first time client, please complete the online registration below. We request new clients arrive 10 minutes early with any relevant notes and certificates in order to complete the registration process. Consultations provide an opportunity to discuss health issues, behavioural problems or preventative strategies relative to your pet. It is during these times that sick patients are attended to, routine health checks are performed and the relevant vaccinations given. Welcome to Stephen Terrace Veterinary Clinic! Please fill out our NEW CLIENT REGISTRATION FORM – find this form to register online, or please call (08) 8362 6688 so that we can email you a copy to fill in, scan and email back to us. If you have been recommended to visit a particular veterinarian, please advise. If you and or your pet need special assistance to enter the practice building, please let us know when you make your booking. If you have not completed your New Client Registration Form prior to your appointment, please attend the practice 10 minutes earlier to ensure all details can be entered on the file we are creating for you. Remember that this is a hospital. Please limit direct contact between your pet and others in the waiting areas. We aim to isolate pets with contagious diseases as quickly as possible on arrival. Please discuss with our reception team prior to arrival if you are unsure if your pet’s illness may risk another pet’s health.